Dream about tortoises | Welcome to Dreams.com! What does it mean to dream about tortoises? 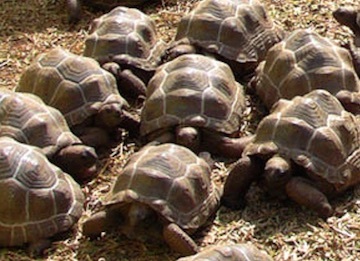 Dream: I dreamt about many tortoises big and small. The leader of them was my grandmother who has passed on. They were on their way to the shopping mall. As I went to kiss her she smelled like pee and I just walked away thru all of them and left my mother with them alone at the mall. DreamsMaster: Tortoises in dreams frequently represent ancient wisdom, in more modern times represented by the saying “slow and steady wins the race” as in the story of the tortoise and the hare. A tortoise may also represent “carrying the world on your back”, while the shell itself represents a layer of protection. What do you personally think of when you think of a tortoise? Next, what is your personal association to a mall? Would it be a normal occurrence for your mother and grandmother to go to the mall? 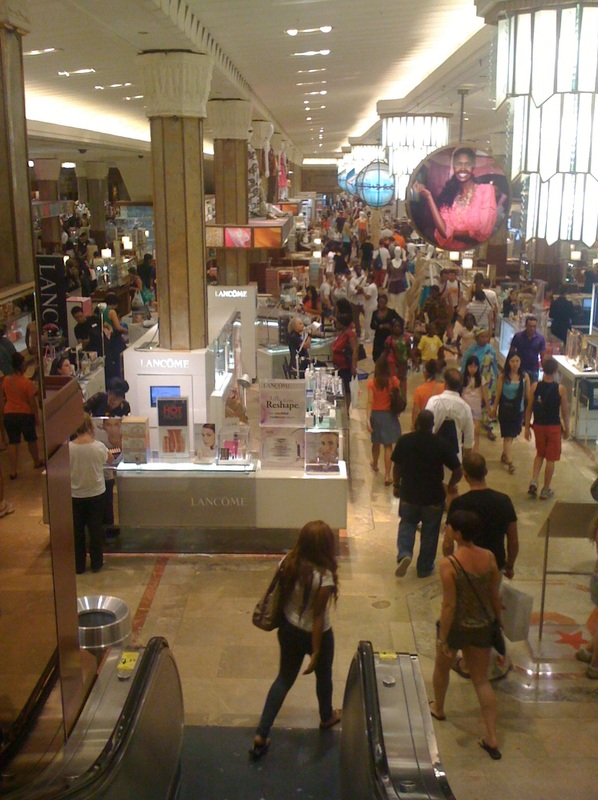 If it were my dream, going to a conventional mall might represent taking on commonplace and conventional values. In the dream, your grandmother is the leader of the pack. Was this true when she was alive? In other words, was she the matriarch or symbolic head of the family, the carrier of “ancient” or “conventional” wisdom? After she passed on, did your mom step into this role, just as she does in the dream? Then there’s the detail about your grandmother smelling like pee when you went to kiss her. Was the kiss an overture of intimacy or obligation? And then you were turned off by the smell of pee. Repulsed, turned off, turned away. To urinate or defecate in a dream may represent expression of unpleasant feelings. When I project myself into your dream, I interpret this scene as feeling obligated to demonstrate respect for my grandmother, yet being repulsed by her feelings about things, perhaps her position or outlook on life. You included a note about your personal life circumstances (which I’m omitting in this public post). How do you feel your grandmother would have reacted to your current situation? Your mother? Do you feel their values are more “ancient” or out-dated than yours in regards to this life path? At the end of the dream, you move ahead and leave them behind. The pack is moving too slowly for you, and you need to move on. Think about how this theme may fit in your waking world – how the matriarchs and others in your family or social network are moving too slowly for you – you have the need to move on ahead. Dream: I see colourful multiple tortoises inside temple. DreamsMaster: A tortoise in a dream often symbolizes wisdom, strength and patience. Its ability to escape danger by retreating into its shell also makes it a symbol of protection and healing. In Hinduism, the tortoise is said to bear the burden of the whole world on his back, and was the second of Lord Vishnu’s numerous avatars. Since the tortoises in your dream are inside a temple, they could represent the strength and diversity of your own personal foundation and spirituality. The dream may also be directing you toward your calling – consider the idea that the tortoise represents your own traits of wisdom, strength, patience and healing. How could you put these marvelous aspects into action?